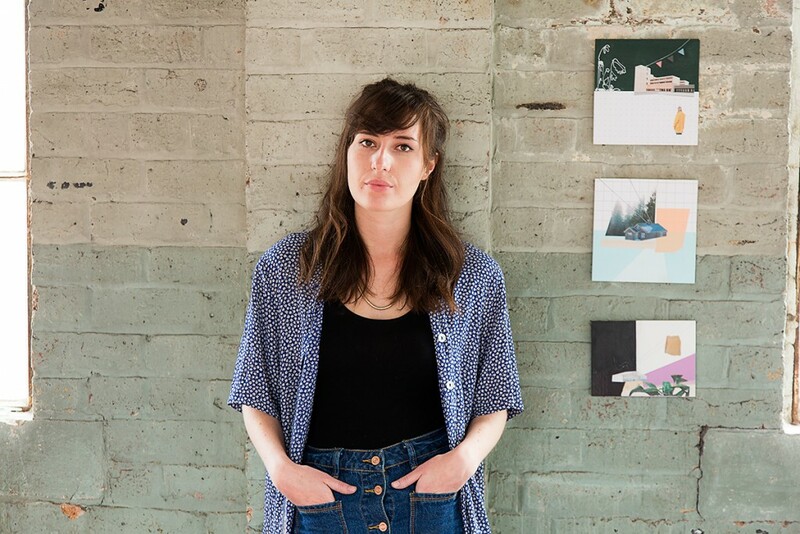 MINIATURE WORLDS EXIST where paper people meet giant evergreens, walk amongst geometric surfaces and step over a line into fictitious architectural spaces, creating a new narrative that artist MAIRI TIMONEY hopes triggers something in our psyche. A nod to nostalgia, a spark to ignite our own imaginative wonderings or simply a pause to consider nature versus structure. 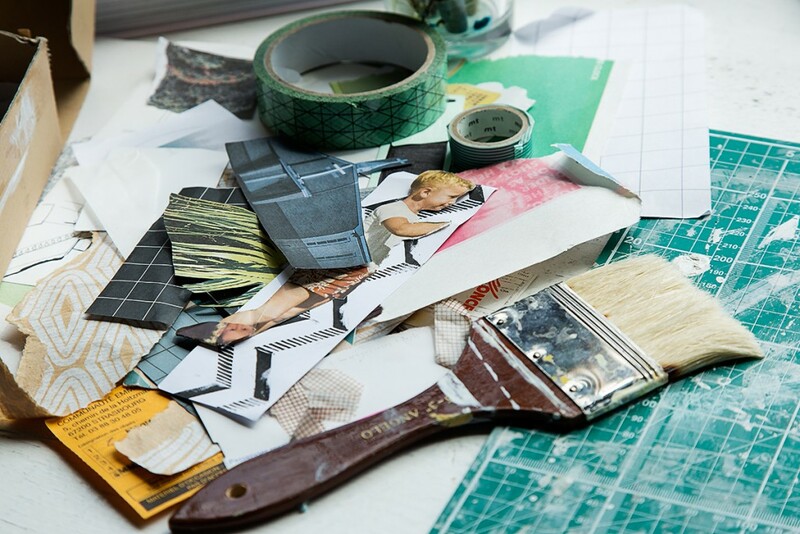 It’s all here within Mairi’s collages. 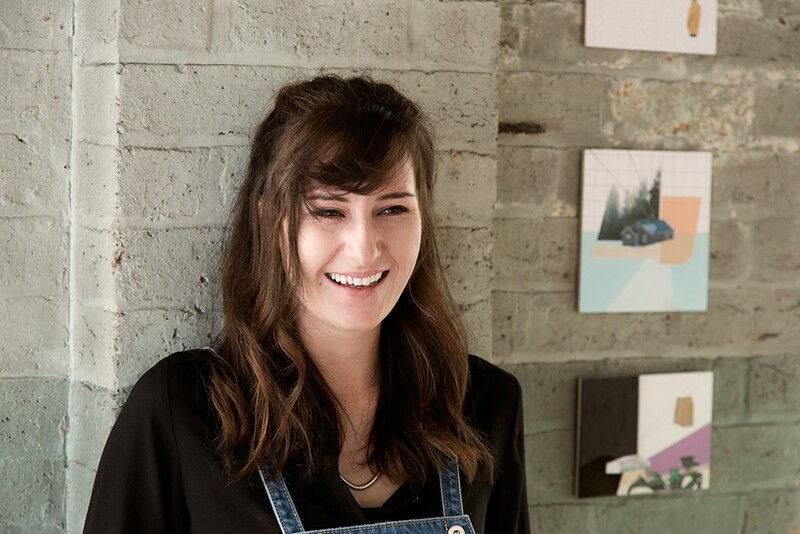 Named Saatchi Art’s One to Watch and Best of 2015, Mairi recently turned fulltime artist and hasn’t looked back. 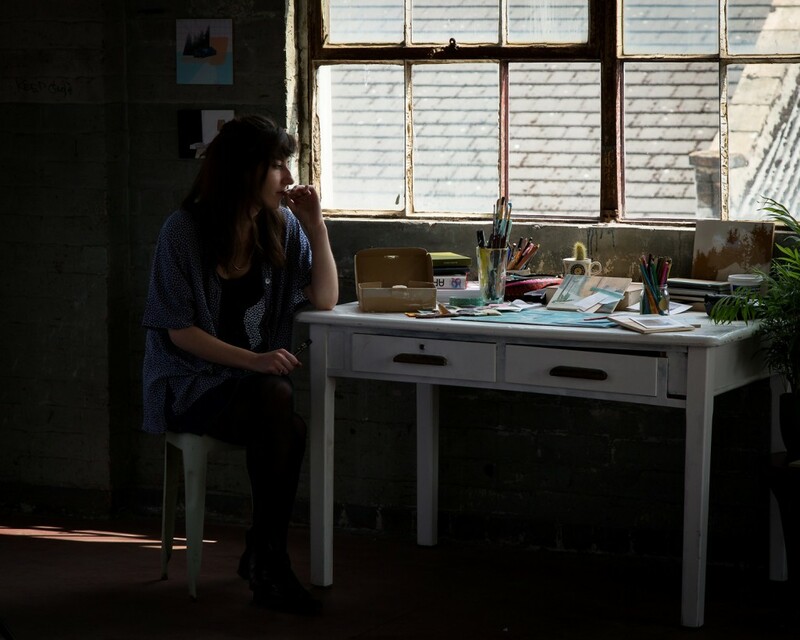 We talk to Mairi in her temporary space in her home town of Edinburgh, where she’s in-between studios and working for the time being from The Biscuit Factory – a vast warehouse multipurpose arts hub in the heart of the city, that Mairi fills with her infectious personality and daydreaming. Photographer Jim Mackintosh captured the artist. I currently live in Edinburgh, Scotland. The city has a beautiful old town and my favourite thing to do is walk round the book shops and art galleries in that area. Because my work focuses on collage I love going to these places to find magazines, photographs, postcards and various paper to add to my collection which I can work with later. Another thing I love to do is to visit a place just outside of Edinburgh called Jupiter Artland. It’s a kind of outdoor gallery which is open over the summertime and it’s set on the estate of an old country house. It has an amazing collection of contemporary artwork made specifically for the surrounding forest and garden. They also have seasonal indoor exhibitions. It’s a really nice place to go and wander round. I’m always inspired by the books and websites of my favourite artists. I love Anthony Zinonos, Mario Zoots, Rosemary Auberson, Francisca Pageo, Gabriella Boyd, Gerhard Richter and lots more. I also really enjoy finding new work and discovering new favourites. For this I turn to blogs that I follow and in magazines. I’m also inspired by the things I collect. So I spend a lot of time going through National Geographic and other old magazines finding weird images to cut up. I love architecture and interiors too. 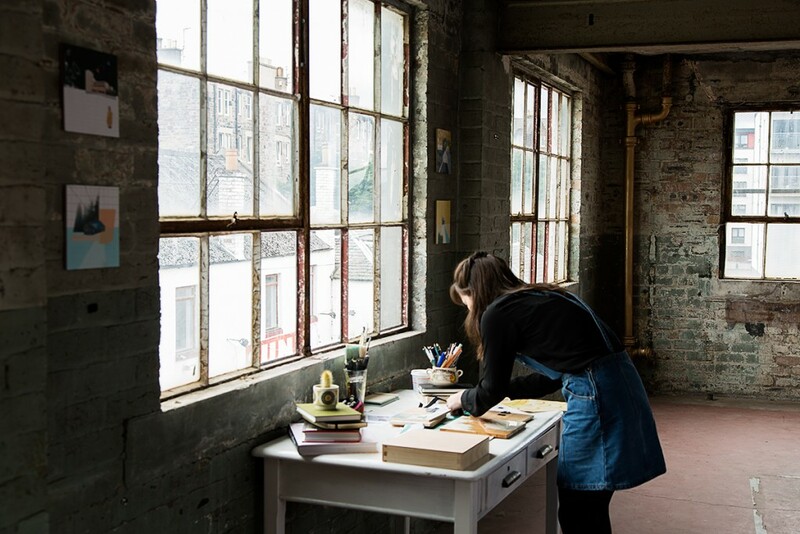 Mairi in her temporary studio in Edinburgh. The quaint houses outside the window inspire the storytelling in her collage works. I kind of see my work in two parts. The first part is the under layer of geometric shapes and bold colours. Here I express my love for perfect colour combinations and composition. Then the second part is the storytelling where I take fragments of images from different places and piece them together to create a fictional place with its own narrative. What do you hope people feel/think/see when they see your work? I hope viewers will be interested in the collation of different materials, considered spaces and the fragments of landscape which pull together to create a fictional place. As most of the places I construct are somewhat understated, with only a hint as to what is happening in the space, I hope it evokes a feeling of intrigue, prompting the viewer to ask questions and encouraging them to create their own narrative about the strangers who could live there and the history of the space. I think the sense of the places portrayed in my work is carefully balanced between being peaceful and unnerving and I like to think the disposition of the viewer will determine which one is more prominent. I also hope that the fictional, open-ended nature of my work allows the viewer to relate the places portrayed to places it reminds them of, evoking nostalgic emotions of a time they were somewhere different. Or that it prompts them to consider a place they once passed which they were given a glimpse into and only just enough information to drive their imagination. I also hope that viewers are drawn to consider the relationship between the manmade structures and the more natural and organic shapes. I try to reflect this in the way I use bold, graphic patterns in conjunction with hand drawn lines and marks too. 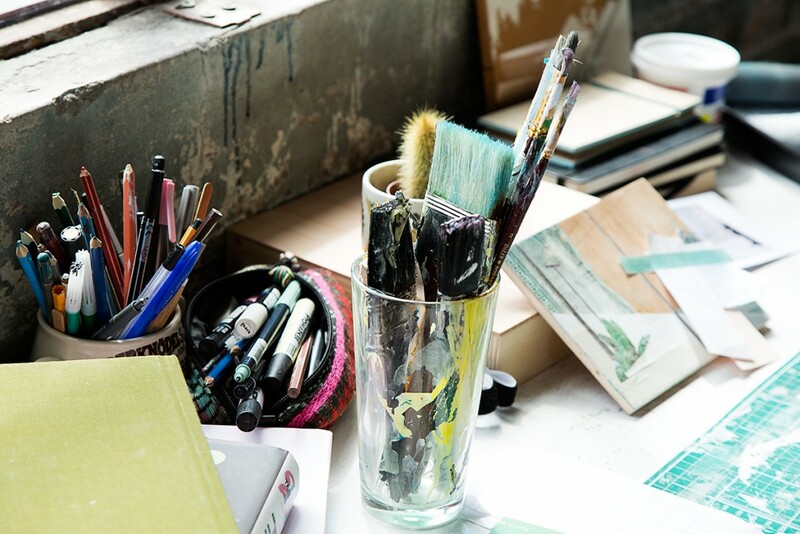 Mairi’s desk is awash with activity – tools of her trade dipped, splattered, cut and strewn with marks of creativity. Works in progress in Mairi’s temporary studio space. I love having an outlet for my thoughts and ideas and being able to channel them through a discipline with my own personal style. I think maintaining self-motivation. Not necessarily to keep making new work but to push yourself to move forward and allow your new work to develop. It’s easy to get caught doing the same thing and to never progress if you don’t have motivation to take risks and try something different. I hope it evokes a feeling of intrigue, prompting the viewer to ask questions and encouraging them to create their own narrative about the strangers who could live there. My perfect morning would involve getting up early and going for a run or a swim. Then I’d have breakfast and start working. I usually set aside an hour or so to reply to emails and look through blogs and books for some inspiration. Then I will either continue working on pieces I have already started or begin some new ones. I like going to the cinema and out to restaurants and bars. When I’m at home I like listening to the radio and drawing, especially at night when there are no distractions. I also like running, cycling and rock climbing. Mairi with her works in progress. The middle piece, Kaprun, is now available in our gallery store. Yes, in some form or another. I didn’t foresee the kind of work I would be making today but it’s definitely always something I’ve loved and something I’ve always wanted to do. In real life I am mostly inspired by different colour combinations I see. I also spend a lot of time sitting on buses. It’s very boring. So I always try to see things that could be a photograph, painting, story or something to keep myself entertained. Even though I go past the same places everyday, sometimes I’m lucky and see something bizarre that I can make a drawing of and use in my work. When I was 16 I began a job in a pharmacy as a Saturday girl and I worked there for six years until I was 22. I really loved it and always had amazing stories from all the funny things that happened. I got to know all the customers so well and worked with lots of great people. I also worked in a classical music venue called the Usher Hall in Edinburgh. I was a steward and worked there in the evenings throughout my time at Edinburgh College of Art. I saw some amazing concerts and made some of my best friends working there, it was so much fun. 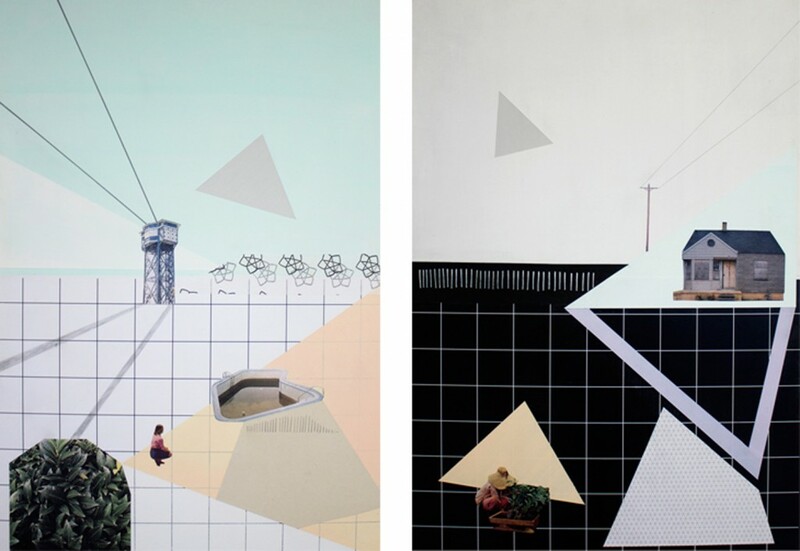 Displaced (left) and Vacant (right) – two brand new works exclusively for Curatorial+Co. Available now in our online gallery store. I have way too many to pick from. Laura Marling is my favourite musician. I love Gurdijeff’s Daughter from her latest album at the moment. Somewhere in France. Growing up I spent most of my summers in France with my family and then I lived and studied in Strasbourg for a little while. I’ve made most of my favourite memories in France and I think it’s a very relaxed and beautiful country. My mum always told me to make my own luck. Don’t wait for things to happen, work hard and make them happen for yourself. I would say be inspired by others but don’t compare or criticise yourself against them. You are the only you there will ever be so concentrate on finding your own path and stick to that. I would love to find an interesting gallery space and spend a long time organising a solo exhibition. I would like to create work specifically for that space and try something a bit bigger and bolder. I would also love to collaborate with other forms of artists and create imagery for something like a record or a book cover. Mairi’s playful personality comes out in her work when she creates a narrative where characters interact. 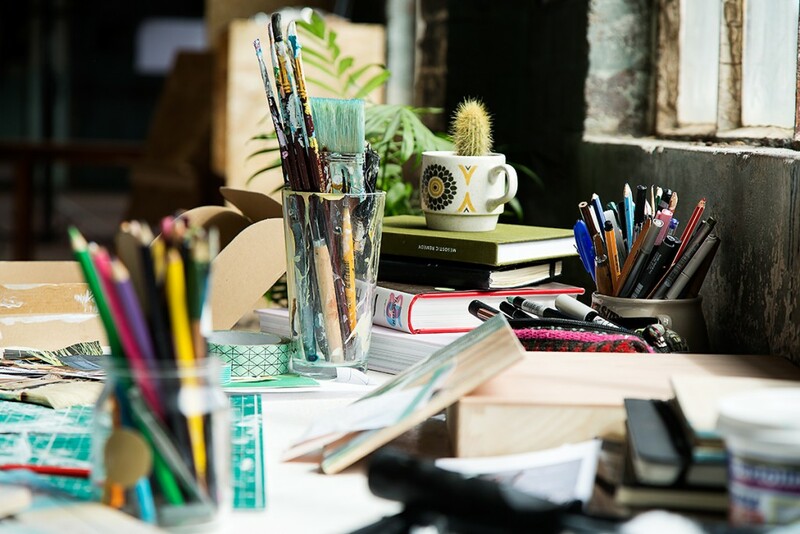 Mairi’s small but busy workspace. Quiet contemplation. 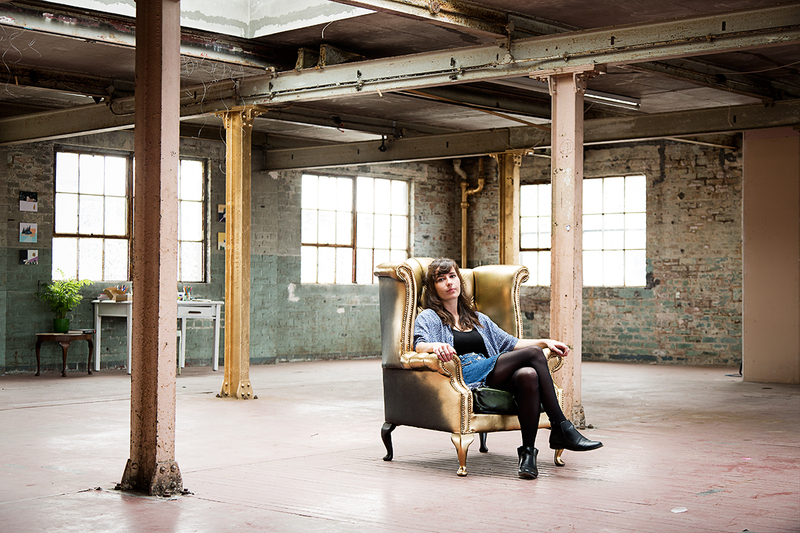 For inspiration, Mairi turns to landscapes, National Geographic magazines, her favourite artists, architecture and interiors. TO ENQUIRE ABOUT MAIRI’S WORK PLEASE CONTACT US.